Photo Booth Expo - Is it worth it? Here we are, almost one month after the Photo Booth Expo 2019. We’re back in the office, the head full of memories and ready to share our experience with you. 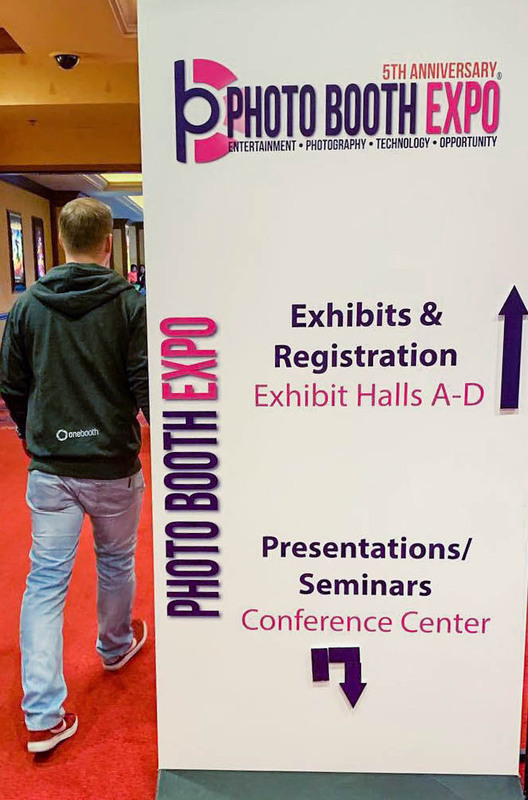 The 5th International Photo Booth Expo was held from February 24th to February 27th, 2019 at the South Point Hotel in Las Vegas. This event is the world’s largest gathering in the photo booth industry. 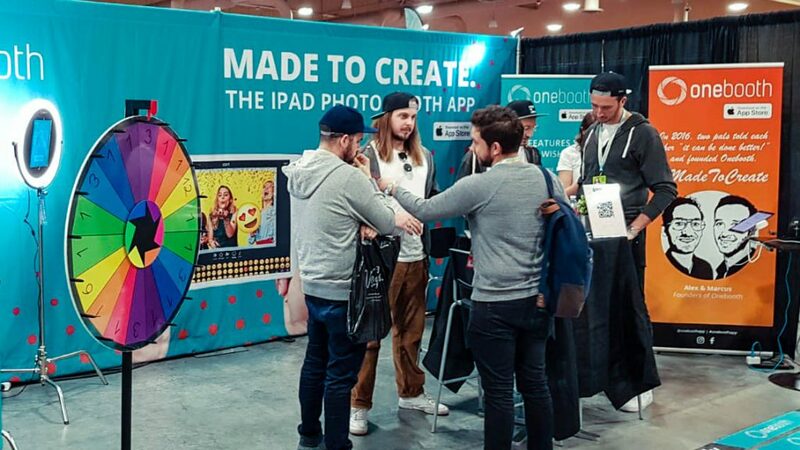 It is a great opportunity for every photo booth operator, manufacturer and supplier to not only showcase their products and services to the public but also connect and interact with fellow boothers around the world. More than 130 exhibitors take part in the expo. 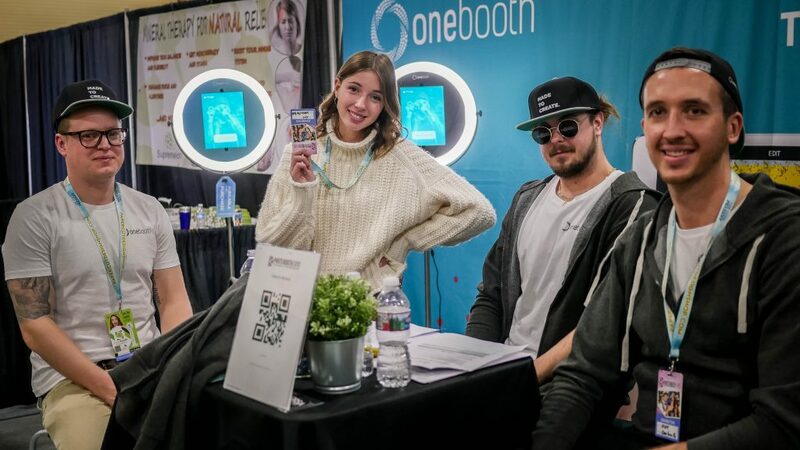 It attracts an international public of photo booth business owners, DJs, wedding photographers and many other professionals from the event industry. There is a show floor as well as a conference center. Seminars about everything relevant to the photo booth industry (from marketing strategies to photography techniques). Discover the latest technology in terms of photo booths, printers, props or software. The photo booth industry is currently developing very fast with plenty of innovations to be brought to the market each year. Boomerangs, GIFs, and videos joined the classic photos and the customization options available for iPad booths are more and more advanced. From filters, emojis to working with a digital green screen, the possibilities are endless. iPad booths are trending even more since they are easily transportable and can be used for all types of events. The sleek design of the iPad allows for a more discreet booth that can fit easily into any type of decor. The future for iPad photo booths is bright. There is even more demand for permanent installations in the retail industry. Our team took part in this convention for the second year in a row to present our software Onebooth. 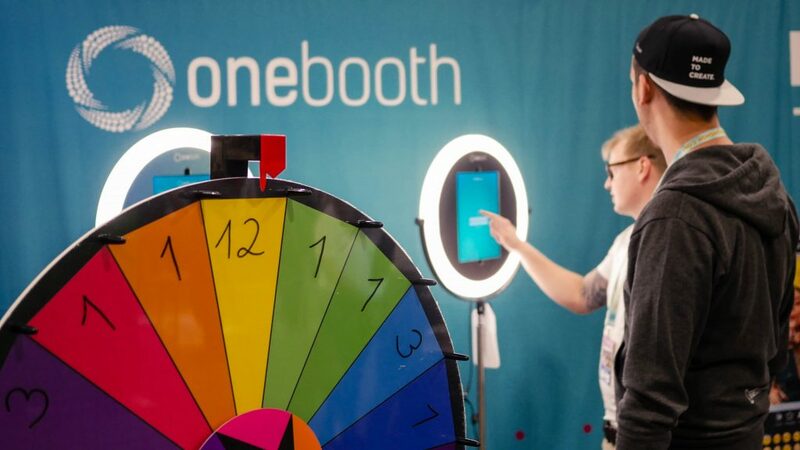 To give a little background, Onebooth transforms any iPad into a professional photo booth. It is cloud-based and gives you the opportunity to let your creativity run free and to create your own photo booth campaigns. Photo, GIF, Boomerang or even video, you can personalize everything to your own brand color and make it yours. At our stand, we exchanged a lot with attendees and other exhibitors. We learned a lot and gathered plenty of suggestions in order to adapt our offer to everyone’s expectations. As a way to share personal experience with any other inquisitive minds, the expo’s organization also invites speakers and presenters to share their know-how. The latest trends of the industry, as well as its future are also discussed during the seminars. It’s a great way to learn about new techniques and get lots of advice. Our CEOs, Marcus and Alex, made a presentation on “How to Succeed in the Fast Growing iPad Photo Booth Industry”. They shared their experiences and strategies especially on how to win corporate clients and thus increase the average revenue per event. A close-up on our wheel and on our iPad Booths. Everyone visiting our stand could participate in our sweepstake and win a free Onebooth subscription. 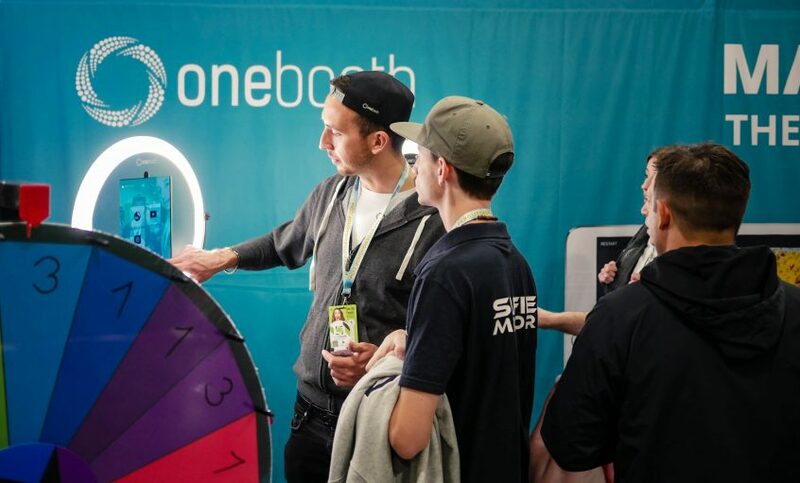 A handful of lucky ones got their hands on the 1-year subscription and will be able to discover the powers of Onebooth. So, is the Photo Booth Expo worth it or not? As an exhibitor, we think it is definitely worth it and we highly recommend going. The Photo Booth Expo is a fantastic convention where you get to see the latest trends in the industry. But it also gives you a chance to meet lots of other exhibitors who will share their experiences with you. Visitors coming to your stand will give you feedback, which is great to better understand the needs of your target group. Going as an attendee is also highly recommended, especially when you are new to the industry or looking for something new to add to your business. Firstly, for only 50$, you get the chance to discover numerous brands as well as their products on the show’s floor. Some might be more oriented to professionals of the event industry for example, but there is also a lot of services or products that can be used for weddings or parties. If you need some inspiration, then the Photo Booth Expo is the right place for you! And as a side note, going to the exhibition will give you the chance to visit Las Vegas and enjoy the South Point Hotel and its casino. The key pass (250$) will give you access to the show floor, lots of seminars but also to the private parties organized during the event. Our team posing before the start of the expo. If you attend the exhibition, we recommend booking your room as soon as possible at the South point Hotel through the Photo Booth Expo’s website because it has the best booking rates. However, if you book it too late, the price will go up as the promotion only applies to a certain amount of rooms. So be quick! If you come with a large group of people and don’t want to stay at the hotel but in the area, there are lots of good Airbnb houses to rent. Ours was only 5 minutes away from South Point and we had a wonderful time there!